The drama Color of Woman recently filmed at Lotte World amusement park. 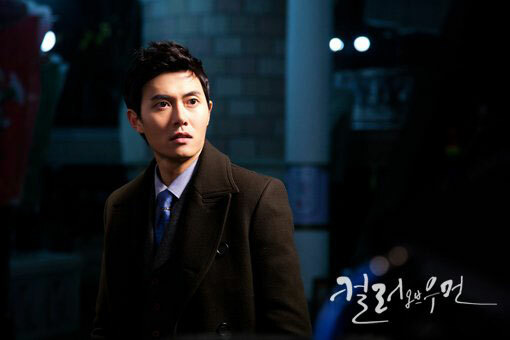 In order to watch the lead actors Yoon So Yi and Jae Hee, the fans crowded the set, and the filming was affected and interrupted. 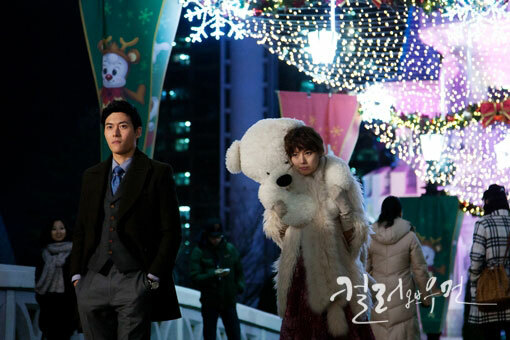 In the episode 7 of Channel A’s Color of Woman broadcast on December 26th, 2011, Yoon Soy and Jae Hee is dating in the amusement park, taking various rides together, and shooting for toys in the range. The beautiful romantic dating also attracted the attention of people who came to watch. On the filming set on December 13th, 2011, Yoon So Yi and Jae Hee was dating in the amusement park just like a lover. It’s a while never been to theme park, so feeling very happy, with happy smile on the face. But that day was also school holiday, coupled with crowds that who came to play to feel the happy atmosphere of year end, the who amusement park was bustling. In order to watch Yoon So Yi and Jae In who were filming, the whole place was crowded, there was not even a place to step inside. With the progress of shooting, the size of the crowd was growing, resulting in them no longer able to move, in the end the shooting was forced to stop temporarily. But Yoon Soy and Jae Hee were still smiling, and posed for pictures with fans, the atmosphere on the scene was warm. But the incident during filming for the two actors was not yet over. It is reported that due to fear of riding on the game, Yoon So Yi Yin had been hesitated before filming, but eventually overcame her fear, sat on the ride daringly, the the shooting could completed successfully. In order to help Yoon So Yi to forget about fear, Jae Hee who sat beside kept talking about funny things to divert her attention. The personality of two persons is both cheerful and easy-going, and they had best understanding. Although only a half-day dating, but they showed perfect acting without reservation. In addition, the airing time of Color of Woman has been changed from 9:20pm to 8:50pm on Monday and Tuesday in order to battle for ratings with Padam Padam.